I am a NJ certified Teacher of Chemistry and Mathematics who has been working as a teacher and Tutor in the State of NJ for 9 years. From 2014 until 2017, I taught Environmental Science, College Preparatory Chemistry, and Honors Chemistry at Gloucester City Jr/Sr High School. Academic background entails a B.A. in Chemistry, an M.S. in Mathematics, and enrollment in the M.S. Chemistry Program at Rutgers University. My initial teaching position was that of Teaching Assistant at Rutgers-New Brunswick. 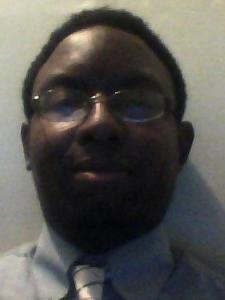 For the past 6 years, I have been a Substitute Teacher in the Camden County, NJ Area. From January 2012 until June 2012, I taught AP, Honors, and Introductory Chemistry at Woodbury Jr and Sr High School. Most recently, I had been teaching 6th Grade Math, 7th Grade Math, Algebra II, and Geometry in the Trenton and Camden City Public School Districts. Chemistry and Physical Science Tutors can expect to see Visual demonstrations in addition to Formulaic explanations. For example, Explanations of Kinematic and Calorimetric Equations are nice, but calculating the trajectory of a Hot Wheels car or the temperature change of an ice pack in contact with a warm can of soda, results in a more concrete understanding of formulas. I taught the HSPA Math Lab in the Camden City Public School District. I also worked mainly (50%) as a Math and Science substitute teacher in the Cherry Hill Public School District for the past two years. From 2009-2012, 50% of my Substitute assignments, in the Cherry Hill Public School System of NJ, have been Algebra 2R classes. From 2013-2014, I taught Algebra II at Camden High School in the Camden City Public Schools District of NJ. I enrolled in Physical Chemistry and Quantum Chemistry courses at Rutgers University, which entailed the use of the following concepts: Implicit Differentiation and Integration of functions in spherical coordinates. From 2014 until 2017, I taught Chemistry in the Gloucester City Public School District. From 2009-2013, My experience also consisted of tutoring students in both Basic and College Preparatory Chemistry (Home Instruction Tutor) for the REAL Center (assigned to the Cherry Hill School District). A 6 month (January until June of 2012) Chemistry Teaching assignment in the Woodbury Public School District sums up my experience as a High School Chemistry Teacher. Basic Chemistry students will understand that concepts such as Molarity and Solubility are applicable to practical situations. College Preparatory Chemistry students will learn how to use Mathematical formulas in order to better understand concepts such as Kinetics and the Nernst Equation. From 2013-2014, I taught Geometry at Camden High School in the Camden City School District of NJ. Students who are having problems writing proofs will be trained to first brainstorm, and then organize reason for a given postulate. Trigonometric Ratio Problems can be solved by thing of sine, cosine, and tangent ratios as sides of Similar Triangles. In the Trenton Public School District of NJ, I taught 6th and 7th Grade Math. Under the Common Core Curriculum Standards, High School Level Algebra and Geometry concepts were incorporated into the Mathematics Curriculum. Thus, my students were required to solve 1st degree linear equations, and also use the Square Root and Cube Root Method for Geometric Formulas involving 2nd and 3rd degree variables. I can make students feel less intimidated by concepts such as "Limit" or "Summation". Students will learn that such concepts are more efficient ways of dealing with abstract concepts. On a Test Practice SAT, I scored 760 out of 800 points. As a Physical Science tutor, I used Trigonometry in order to demonstrate principles of Physics (Vector components and Dot products). As a former Substitute 7th and 8th Grade Math Teacher (April until June of 2010), I am also aware that Trigonometry is part of the NJ 8th grade Mathematics curriculum. Knowledge of Trigonometry will better prepare students for the "Progressive Science" high school sequence: Physics, Biology, Chemistry, Elective Science. I received A's in Organic Chemistry I and II. Also, I have a B.A. in Chemistry. As a Home Instruction Tutor the REAL Center (2009-2013), Conceptual Physical Science was one of my assigned courses. Students will become comfortable with use of Dimensional Analysis in order to perform Unit Conversion problems. Conceptual Physical Science can also be used to prepare students for Physics classes by teaching them how to use Mathematics for both conceptualizing and solving problems. He is very knowledgeable & passionate about chemistry that is for sure ! You will not go wrong with choosing him as a tutor. He will go out of his way to make sure you leave understanding the concept. Very patient and kind ! I'll be definetly make an appointment with him in the future ! Thank you for being you ! Diana, 2 lessons with Reno O.
Reno is very easy to speak to. Any and all questions were answered in a concise and understandable manner. Extremely courteous and kind. Nelson, 3 lessons with Reno O. Because he did such an awesome job with my lesson do I️ feel the need to give a review. Reno teaches very well, with clear explanations. Even though I️ was confused a lot of steps throughout an example, he went out of his way to patiently/kindly explain the material until I️ understood. His method is great, and I️ will continue to seek his professional services. Definitely recommend to anyone struggling like myself, especially when you have a professor who may not always give the best breakdown for problems. Jalyme, 15 lessons with Reno O. My son was able to earn a couple of A's on his homework and a B+ on a quiz. The tutoring is valuable. We will continue until the end of the school year. Very satisfied with how it is going. Robin, 9 lessons with Reno O. FULLY UNDERSTAND OCHEM with RENO! Today we spent one hour reviewing Lewis Structures, Formal Charges, Resonance, and Octet Expansion. After this session, I feel fully comfortable drawing out the Lewis Structures for common molecules and filling out the formal charges for each individual atom. In addition, I understand the purpose of resonance structures and the Octet Expansion rule. I look forward to our next sessions together, as I know that Reno's steady pace will help me really understand the material at a deeper level than just memorization. Reno effectively communicates the purpose of each step while explaining an example and he uses the Wyzant online platform to write brief notes for the students to jot down if they need. Christina, 7 lessons with Reno O.
Rene is an awesome tutor. He helped me get ready for my quiz that I will have for my General Organic and BioChemistry Class. Will definitely be using him on a regular basis. Thao, 3 lessons with Reno O. This was her 1st tutoring session, however she said, Reno was very knowledgeable, patient and knew exactly how to keep her engage since Chemistry seems to be 1 of her hardest subject. We are happy to continue services. Carlie , 5 lessons with Reno O.
Reno was so kind and patient as I had a million questions about Organic Chemistry. He was very clear and thorough in all of his explanations. Will definitely be going to him again! Marissa, 1 lesson with Reno O. Thank You. I was glad to have been of service.